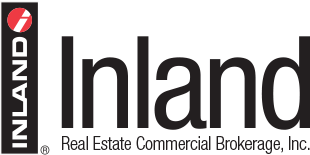 Home | Inland Real Estate Commercial Brokerage, Inc.
Inland Real Estate Commercial Brokerage, Inc. is a boutique brokerage firm providing real estate solutions for sales and exchanges for private, public and institutional owners/managers of commercial investment real estate. Through our history, we have closed on more than $1.3 billion in including 8,700 multi-family apartments and 140 million square-feet of CRE. We have consulted for major property owners and institutions throughout the U.S. for the acquisition and disposition of investment real estate. As a member of The Inland Real Estate Group of Companies, Inc., we collaborate with other Inland member companies, sharing market knowledge and expertise, creating an alliance with a local, regional and national presence. ABOUT THE INLAND REAL ESTATE GROUP OF COMPANIES, INC. The Inland Real Estate Group of Companies, Inc. is an industry leader and one of the nation’s largest commercial real estate and finance organizations. The individual companies, each with its own mission, including Inland Real Estate Commercial Brokerage, Inc., are members of The Inland Real Estate Group of Companies, Inc. (“Inland”), headquartered in Oak Brook, Illinois. Inland affiliates or related parties cumulatively owned or managed properties in 49 states, with a value exceeding $6.7 billion through 2017, and have conducted over $80 billion in commercial real estate transactions since inception. Inland member companies share market knowledge and experience with one another in the areas of investment real estate brokerage, leasing, property management, land development, acquisitions, commercial lending and finance, and other areas of real estate, providing a one-stop shop for clients across the country. Inland’s proven track record, as evidenced by its longevity and numerous industry awards, demonstrates its commitment to provide the best in quality and value to our clients and investors. Paul Montes, Senior Vice President, joined Inland's brokerage team in 2006 as a specialist in commercial investment sales & acquisitions for both investment grade and value-add assets. Representing private and institutional clients throughout IL, WI and IN he has completed recent transactions of over $100M. At Inland, Paul’s unique ability to succeed in multiple disciplines while representing a diversified clientele has earned him numerous Sales Recognition Awards. Highlighted sales include +1,000 multifamily units; land acquisition & assemblage for upscale, food-centric Standard Market Grocery; directing roll out strategy for The Hearing Lab’s 13-store regional expansion; organizing national disposition for the Catholic Archdiocese of Joliet’s surplus land portfolio; and leading the sale and relocation of the North American Baptist Conference’s national headquarters. Paul’s professional affiliations include the National Association of Realtors (NAR), Illinois Association of Realtors (IAR), and Board Member of the Chicago Association of Realtors (CAR) Commercial Forum Committee. He earned his finance degree from Elmhurst College and holds an Illinois Real Estate Managing Broker License and FINRA Series 63 and Series 22 securities licenses. 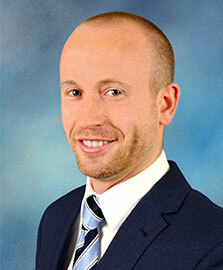 Eric Spiess, Senior Vice President, joined Inland's brokerage team in 2006. Specializing in commercial investment sales, Mr. Spiess has recently completed transactions in excess of $100M. Notable transactions include a 420-unit multi-family complex in Glendale Heights; 313 bulk condominium units in Naperville, IL; the successful negotiation of a long term office lease with Olivet Nazarene University in Oak Brook; the assemblage and sale of a 5-property parcel on Ogden Avenue in Westmont and Naperville for Standard Market; a regional expansion of over 13 Hearing Lab locations; and the sale of a 68,000sf. industrial building in Glendale Heights. He was the recipient of the Inland Top Sales Team Award in 2013, 2012, 2010 and 2009; the Top Listing Team award in 2014 and 2010; and SomerCor Broker of the Year Award in 2008. Eric earned a degree in Finance from Loyola University Chicago, where he also played Division I soccer on athletic and academic scholarship. Eric is a member of the National Association of Realtors (NAR), the Illinois Association of Realtors (IAR), the Chicago Association of Realtors (CAR), and holds FINRA Series 63 and Series 22 securities licenses. 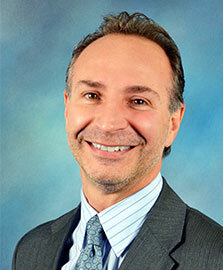 Jonathan J. Stein is President of Inland Real Estate Commercial Brokerage, Inc. 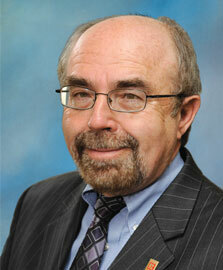 He has been with Inland for more than 40 years and has held various leadership positions throughout the organization. Prior to joining Inland, Stein was a physical education teacher for Chicago Public Schools for seven years. Since entering the real estate industry, he has previously served as commissioner and acting chairman of the City of Chicago’s Community Development Commission, director and acting chairman of the State of Illinois Lottery Control Board, director and corporate secretary of the Northeastern Illinois University Foundation Board and director and president of the DuPage Convention and Visitor’s Bureau. He has also served as a president of the Northern Illinois Commercial Association of REALTORS® (NICAR), director of the Illinois Association of REALTORS® and chairman of its Commercial/Industrial/Investment Committee and a member of the board of directors of Feldman Mall Properties, Inc., a public company. Stein is currently a member of the Alternative Direct Investment Securities Association (ADISA), the National Association of REALTORS®, the Chicago Association of REALTORS® and the National Auctioneers Association. He is also a member of the International Council of Shopping Centers’ (ICSC) Government Relations Committee of Illinois, an advisory board member of the Roosevelt University Institute of Real Estate and a trustee and vice chairman of the Northeastern Illinois University Board of Trustees. Stein received an Associates of Arts degree from Amundsen-Mayfair Junior College (now Truman College), a Bachelor of Arts in Psychology from the University of Illinois at Chicago and a Master of Arts in Leadership in Higher Education from Northeastern Illinois University. He is currently a licensed State of Illinois Managing Broker and State of Indiana real estate broker, a licensed Illinois auctioneer and a licensed Illinois insurance producer. Stein holds Series 22 and Series 63 licenses with the Financial Industry Regulatory Authority (FINRA). * Default simple view template to display Bootstrap Grids. Thank you for your interest in Inland Real Estate Commercial Brokerage, Inc. We invite you to contact us for more information. Please use the form below and we will contact you as soon possible. To join our email list please check box.